In-R-Form Fusible Foam Stabilizer, off-white, 58" x 18"
A unique, single-sided fusible laminate stabilizer; laminated on a single side with tricot and napped spun lace on the other. 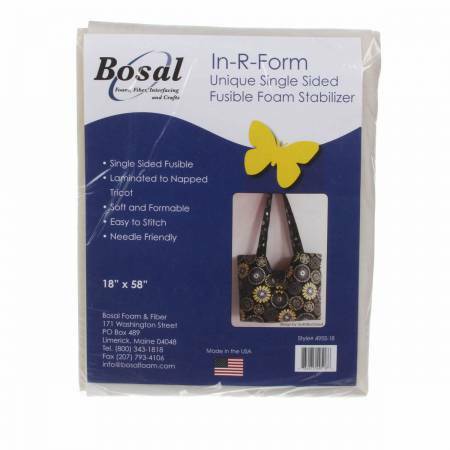 This product is soft and formable, easy to iron, needl- friendly, and ideal for handbags, purses, and totes. Need more of this product than we currently have available? Contact us to order the exact quantity you need!